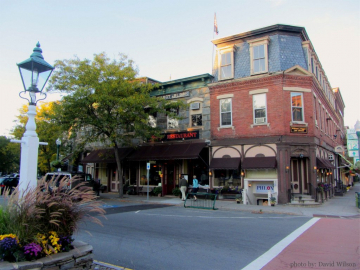 Woodstock, VT - Vermont and New Hampshire Real Estate - Quechee Associates, Inc.
Woodstock is the quintessential New England town. It’s postcard beauty and charm have brought visitors from the world over to enjoy it’s quaint shops and fine eateries. The village is easy to walk and take in the splendid old world architecture and landmarks. Enjoy a picnic on the village green, catch a show at the Town Hall Theater, stroll the covered bridge or stop by one of the many art galleries. With activities going on year round there is always something fun and unique going on here. Close to the Upper Valley for additional dinning and shopping and only a half hour from Killington and Okemo skiing.